An exhibition presenting a collection of quirky figures and faces at St. Martin’s Gallery, Lincoln. Annie Ryan is a Manchester based illustrator who uses multiple collage techniques to create unusual figures, from a cow in overalls presenting a pint of milk to a startled farmer to a cello personified as a glamorous model. A fascination with candid vintage photography has been the starting point for much of her work, for example, 1970s street photographs are warped, painted, scratched, scrunched up, photocopied, photographed, drawn, and sometimes even burnt to give life to her figures. The exhibition takes place at St. Martin’s Square, Lincoln, LN1 1ET from 15th – 21st April. 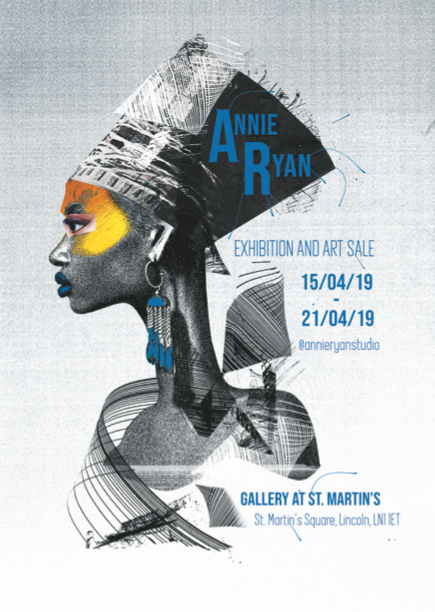 As well as showcasing her work, Annie would love the exhibition to present the opportunity for both local and non local AOI members/ illustrators to meet each other.